Shortness of breath, also known as dyspnea is a symptom that describes a sense of breathing discomfort or difficulty in breathing. It is often expressed as feeling out of breath or suffering from breathlessness. It is estimated that up to 7-8 percent of patients presenting to emergency rooms complain of dyspnea (1). In half of these cases, it is the primary reason for their visit. The American Thoracic Society (ATS) defines dyspnea as “a term used to characterize a subjective experience of breathing discomfort that is comprised of qualitatively distinct sensations that vary in intensity. The experience derives from interactions among multiple physiological, psychological, social, and environmental factors, and may induce secondary physiological and behavioral responses” (1). Although such a broad and complex definition is of little use in individual cases, it reflects the complexity of the issue and the multiplicity of factors that may be involved when a patient complains of dyspnea. These factors may vary from normal physiological responses to an underlying heart or lung disorder or may reflect a psychological disorder such as anxiety. Furthermore, dyspnea is frequently influenced by environmental factors such as air quality, temperature, and altitude. Contrary to many other medical symptoms, shortness of breath is an entirely normal phenomenon in particular situations, such as during heavy exercise. Hence, it may be challenging for the individual and the clinician to determine if dyspnea is due to an underlying disease or just merely reflects a healthy response to physical effort. Obviously, an inactive person is more likely to experience shortness of breath than someone who is in good physical shape. Normally we are unaware of the act of breathing at rest, and although we may become conscious of breathing during mild to moderate exercise, no discomfort is experienced. However, during strenuous exercise, we may become unpleasantly aware of our breathing, but we will feel reasonably assured that the sensation will be transitory and is appropriate to the level of exercise. The words used by patients describing dyspnea may provide insight into the underlying cause. Examples of verbal expressions used are: “cannot get enough air“, “air does not go all the way down“, “smothering feeling in the chest“, “tightness in the chest“, “fatigue in the chest“, and a “choking sensation“. The causes of dyspnea may fall into three broad categories; respiratory system dyspnea, cardiovascular system dyspnea, and dyspnea due to other causes. Dyspnea is considered acute when it develops suddenly (over hours to days) and chronic when it is present during longer periods (weeks or months). Most often patients complain of dyspnea on physical exertion. Sudden and unexpected dyspnea at rest may indicate a serious underlying medical disorder or may be due to anxiety. 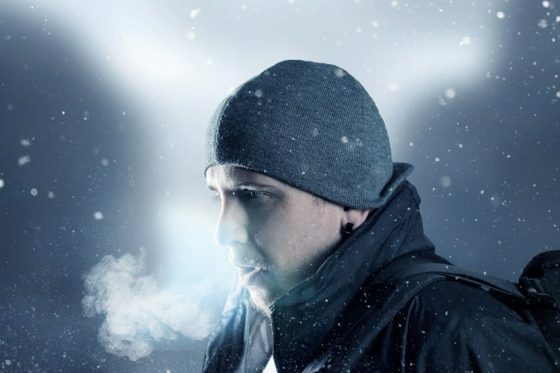 Intermittent dyspnea associated with cold air or animal dander may suggest asthma. Work-related dyspnea may indicate occupational asthma. Dyspnea following upper respiratory tract infections may indicate asthma or chronic obstructive pulmonary disease (COPD). Nocturnal episodes of dyspnea (paroxysmal nocturnal dyspnea) may also be a sign of heart failure. The patient experiences sudden attacks of shortness of breath, which most often occur at night, and awakens him/her from sleep. Trepopnea describes an unusual situation in which the patient experiences shortness of breath while lying on the left or right side. Platypnea is dyspnea that only occurs in the upright position. Asthma is the most common reason for presenting to the emergency room with shortness of breath (2). It is a disease that affects about 5% of the population. Asthma is a condition in which the airways narrow and swell and produce extra mucus. This can cause shortness of breath, wheezing, tightness in the chest, and a nonproductive cough. Some patients with asthma have infrequent attacks or have symptoms during certain conditions, such as when exercising, while others have more frequent or chronic symptoms. Allergy-induced asthma is triggered by airborne substances such as pollen, spores, dust mites and pet dander. Other allergic symptoms such as watery eyes and runny nose are common. Exercise-induced asthma is typically provoked by exercise and often gets worse when the air is cold and dry. Occupational asthma is usually triggered by workplace irritants such as chemical fumes or dust. Chronic obstructive pulmonary disease, or COPD, refers to a group of diseases that cause airflow blockage leading to shortness of breath, cough, mucus (sputum) production and wheezing. It includes emphysema, chronic bronchitis, and in some cases asthma. Tobacco smoke is the leading cause of the development and progression of COPD in the United States (3). Genetic factors, exposure to air pollutants, and respiratory infections also play a role. COPD was the third leading cause of death in the United States in 2014 (4). Chronic bronchitis is inflammation of the lining of the bronchial tubes leading to shortness of breath, a daily cough and mucus production. Emphysema is a condition in which the alveoli (air sacs) at the end of the smallest air passages of the lungs are destroyed. Hence, the exchange of oxygen and carbon dioxide between the blood and the lungs becomes impaired. As the air gets trapped in the alveoli, the lungs become hyperinflated. The term interstitial lung disease (ILD) refers to a broad category of lung diseases rather than a distinct disease entity. It includes a variety of illnesses with different underlying causes. These disorders are grouped together because of similarities in their clinical presentations, radiographic appearance, and physiologic features (5). The abnormalities that characterize ILD involve the lung interstitium (the area between the capillaries and the alveolar space) to a greater extent than the alveolar spaces or airways. The interstitium supports the delicate relation between the alveoli and capillaries, allowing an efficient gas exchange. The lungs may be initially injured by external exposure (e.g., asbestos, drugs, moldy hay), an underlying autoimmune disease (e.g., rheumatoid arthritis) or some unknown agent (idiopathic pulmonary fibrosis). The resulting inflammatory response triggers a repair process in the lungs. If the exposure persists or if the repair process is incomplete, the lungs may be permanently damaged. Increased interstitial tissue typically replaces the normal capillaries, alveoli, and normal interstitium. Lung function may become severely reduced in ILD. Gas exchange is impaired, and the work of breathing is increased because of decreased lung compliance. Shortness of breath and a nonproductive cough are the most common reasons patients seek medical attention. Examples of ILD’s are hypersensitivity pneumonitis, sarcoidosis, idiopathic pulmonary fibrosis, and cryptogenic organizing pneumonia (COP) which is the revised nomenclature for bronchiolitis obliterans organizing pneumonia (BOOP). Therapy depends on the underlying disease and may consist of immunosuppressive drugs and avoidance of disease-inducing exposures. Pulmonary embolism is a blockage in one or both of the pulmonary arteries within the lungs. It is caused by blood clots that travel from the lower extremities, through the right heart chambers, and lodge in the lungs (6). In most cases, a blood clot in the deep veins of the leg, called deep vein thrombosis (DVT), is the underlying cause of pulmonary embolism. Painful swelling of one leg, ankle or feet should raise the suspicion of DVT. There are several risk factors for DVT. Among them are inherited disorders of blood clotting, prolonged bed rest, injury or surgery, pregnancy, birth control pills, smoking, and some forms of cancer. Sitting for extended periods of time such as during long flights may also increase the risk of DVT because the leg muscles are not contracting. The leg muscles play a significant role in pumping the blood through the veins. The most effective preventive measure is to contract the leg muscles, either while sitting or by walking when possible (7). The most common symptoms of pulmonary embolism include shortness of breath, cough, and sometimes chest pain that gets worse when breathing (pleuritic pain)(8). Signs of DVT in one or both legs may be found. A pneumothorax is when air builds up in the pleural sac, between the outside of the lung and the inside the chest wall (9). The air can come from the lung or from outside the body if there is a chest injury. A large pneumothorax may compress the lung causing it to collapse. Although pneumothorax caused by leaks of air from the lungs is more common in people with a lung condition, it can occur in individuals who are otherwise completely healthy (spontaneous pneumothorax). Spontaneous pneumothorax is far more common in men than women. It often occurs in people between 20 and 40 years old, often in tall individuals and is commonly associated with underweight. Patients with spontaneous pneumothorax present with sudden onset of chest pain that gets worse by breathing in (pleuritic pain)(8). The pain is often associated with shortness of breath. A routine chest radiograph usually confirms the diagnosis. Pulmonary hypertension is a disease caused by elevated pressure (hypertension) in the pulmonary arteries (10). Pulmonary hypertension is a rare condition that can affect people of all ages. However, it is more common in people who have an underlying heart or lung condition. The walls of the pulmonary arteries may become thickened and stiff, and can’t expand as well to allow blood through. The reduced blood flow makes it harder for the right side of the heart to pump blood through the arteries. Subsequently, right-sided heart failure may develop. The main symptoms of pulmonary hypertension are shortness of breath, tiredness, dizziness, palpitations (11) and leg edema (7). Idiopathic pulmonary arterial hypertension (IPAH) is a rare disease characterized by elevated pulmonary artery pressure with no apparent cause (12). IPAH is also termed precapillary pulmonary hypertension and was previously termed primary pulmonary hypertension. Untreated IPAH may lead to right-sided heart failure. Patients with pneumonia often experience shortness of breath. In patients over age 65, it is the primary symptom in the majority of cases (13). Patients with pneumonia also typically have fever and a productive cough. Some may experience chest pain that gets worse on inspiration (pleuritic pain)(8). Many patients with lung cancer experience shortness of breath. It may be due to the tumor itself or to another underlying lung- or heart disease. Other symptoms associated with lung cancer are coughing, chest pain, and coughing up blood (hemoptysis). ARDS can complicate a broad range of conditions such as sepsis, shock, trauma, and toxic inhalations. It is characterized by rapidly progressive dyspnea, hypoxia and bilateral infiltrates on chest radiograph. 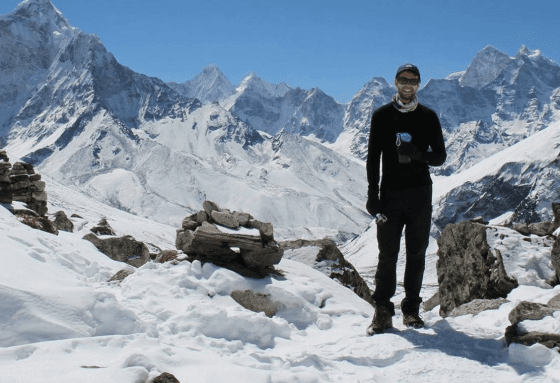 High altitude pulmonary edema (HAPE) is a form of noncardiogenic pulmonary edema that typically occurs in people who have ascended rapidly to elevations over 2500 meters (8000 feet). The main symptoms are a nonproductive cough, shortness of breath on exertion, and fatigue, often occurring two to four days after ascending to a high altitude. It may progress quickly to dyspnea at rest. The term acute coronary syndrome covers a range of conditions associated with a sudden reduction in blood flow to the heart muscle. It includes conditions such as ST-segment elevation myocardial infarction (STEMI) and non-STEMI (NSTEMI) (14). The underlying mechanism usually involves the rupture of an atherosclerotic plaque in a coronary artery with superimposed blood clotting (thrombosis), thereby blocking blood supply (15). ACS and acute heart attack are one and the same and should always be treated as an emergency. Patients with ACS typically experience pressure, fullness or tightness in the chest (8). Sometimes there is searing pain that may radiate to the back, neck, jaw, shoulders and arms, particularly the left arm. Many patients complain of shortness of breath, and in some cases, dyspnea is the sole complaint. Often, the patient also experiences shortness of breath and sometimes it is the only symptom. In these cases, the dyspnea is defined as an anginal equivalent. Angina pectoris is not a disease. It is a symptom, usually caused by inadequate blood flow in a coronary artery resulting in insufficient supply of oxygen-rich blood to an area of the heart muscle. Hence, in most cases, angina reflects underlying coronary artery disease (17). Typically, a patient with angina will experience no symptoms at rest. However, during exercise, the oxygen demands of the heart muscle will increase. If blood supply in a coronary artery is limited, usually because of an atherosclerotic plaque, angina will occur. If the patient stops exercising, oxygen supply will again meet demands, and angina will resolve. Heart failure occurs when the heart muscle is weakened and cannot pump enough blood to meet the body’s needs for blood and oxygen. In some cases, the pumping capacity of the heart muscle is preserved but left ventricle is stiff with decreased compliance and impaired relaxation, which leads to increased filling pressure in the left ventricle. Heart failure is caused by an underlying heart disease that has caused damage to the heart muscle and/or an increased stiffness of the left ventricle. Coronary heart disease, hypertension, valvular disorders and dilated cardiomyopathy are the most common causes of heart failure. Heart failure frequently presents with shortness of breath on exertion, orthopnea, and paroxysmal nocturnal dyspnea. Heart failure affects between 1–2% of the general United States population and occurs in 10% of those over 65 years old (18). Chronic heart failure is a common cause of dyspnea during daily activities. Acute heart failure or acute worsening of a chronic heart failure may cause fluid to accumulate in the lungs (pulmonary edema). Pulmonary edema is a common cause of dyspnea in the emergency department. Patients with chronic heart failure often have fatigue, diminished exercise tolerance, and fluid retention. Valvular heart disease may cause shortness of breath. Such dyspnea is particularly common among the elderly. The most common valvular diseases causing dyspnea are aortic valve stenosis and mitral insufficiency (19). Typical symptoms of aortic valve stenosis include diminished physical performance, episodes of collapse, syncope, and dizziness, and, sometimes, chest pain resembling angina pectoris. Auscultation usually points to the diagnosis because a rough systolic heart murmur can be heard over the aortic valve. Echocardiography is the definitive diagnostic study. Irregular or abnormal heart rhythm may cause dyspnea (10). Examples are atrial fibrillation and atrial flutter (20), ventricular tachycardia, and second and third-degree heart block. These arrhythmias may often be associated with underlying cardiovascular diseases such as coronary artery disease, cardiomyopathy or heart failure. Anemia that develops gradually often presents with exertional dyspnea, fatigue, weakness, and palpitations (21). Obesity may interfere with the normal expansion of the lungs causing dyspnea and hypoxia. This applies in particular if there is massive abdominal girth. Based on data from the Third National Health and Nutrition Examination Survey, obese participants were 2.66 times more likely to experience dyspnea when walking up a hill compared with matched non-obese participants (22). Patients with anxiety and hyperventilation commonly experience shortness of breath and breathing difficulties. Hyperventilation from anxiety is a diagnosis of exclusion in the emergency department after organic causes of dyspnea have been excluded (23). Cardiovascular fitness is determined by the ability of the heart to increase maximal cardiac output and by the ability of the peripheral muscles to utilize energy efficiently for aerobic metabolism (24). Fitter individuals experience less dyspnea for any given workload than sedentary people. Deconditioning is defined as the multiple, potentially reversible changes in body systems brought about by physical inactivity and disuse. Such changes often have significant functional and clinical consequences. Deconditioning commonly occurs in two situations: (1) a sedentary lifestyle, which is common in older people even in the absence of significant disease or disability and may result in a slow, chronic decline in physical fitness; and (2) bed or chair rest during an acute illness, which can lead to disastrously rapid physical decline (25). Due to deconditioning, sedentary people may experience shortness of breath with seemingly trivial tasks. In a study of obese adolescents with or without a diagnosis of asthma, breathlessness was primarily due to cardiopulmonary deconditioning (26). History is of particular importance when determining the cause of dyspnea. The onset, character, duration, periodicity and severity of the symptoms are all important factors. Physical examination may also provide important clues. Tachycardia (rapid pulse) may accompany anemia, heart failure, and pulmonary embolism. Distention of the jugular veins and peripheral edema may be consistent with heart failure. Cardiac murmurs may suggest underlying valvular disorders. Decreased breath sounds and wheezing may indicate COPD. Initial testing should include pulse oximetry, complete blood count, basic metabolic panel, chest radiography, electrocardiography (ECG), and commonly, spirometry (27). A chest radiograph is important in evaluating patients with dyspnea. It may show signs of heart failure, pneumonia, interstitial lung disease or lung tumor. However, a negative chest radiograph does not rule out lung disease. For example, patients with asthma and pulmonary embolism may have normal radiographic findings. An ECG may reveal arrhythmias such as atrial fibrillation (28). It may show sign of coronary artery disease and prior myocardial infarction may be discovered. Spirometry is helpful for detecting airflow obstruction. Hence it may help diagnose asthma, COPD, and interstitial lung disease. Brain natriuretic peptide (BNP) is a cardiac neurohormone secreted by the myocardium (29). BNP and its prohormone, N-terminal pro-BNP can be measured in blood. In patients with dyspnea, plasma N-terminal pro-BNP concentrations are increased in left ventricular dysfunction and heart failure but not in lung disease (30) Hence, BNP and N-terminal pro-BNP levels can be used to distinguish between respiratory and cardiovascular causes of dyspnea. D-dimer is a marker of fibrin degradation in the blood. Plasma levels of d-dimer are directly related to the severity of pulmonary emboli. A negative test can contribute to excluding pulmonary embolism in patients with low pretest probability (31). Several more advanced studies such as echocardiography, computed tomography (CT scan), ventilation-perfusion scanning, and stress testing may provide additional information. Shortness of breath (dyspnea) is a common symptom associated with multiple disease conditions, some of which are of serious nature. Many cases of dyspnea are associated with diseases of the heart and lungs. Anemia, anxiety disorders, deconditioning, and obesity may also cause dyspnea. Asthma, chronic obstructive pulmonary disease (COPD), interstitial lung disease (ILD), pulmonary hypertension, coronary heart disease, valvular disorders, and heart failure are examples of diseases that may cause chronic dyspnea. Acute dyspnea may be due to an acute asthma attack, acute worsening of COPD or heart failure, pneumothorax, pulmonary embolism, acute coronary syndrome, and arrhythmias such as atrial fibrillation. Hence, acute dyspnea should be treated as a medical emergency. Is interstitial pneumonitis unlikely with a clear chest x-ray and clear lungs? Is a CT scan needed or are the above findings sufficient? My pulmonologist suspects it is deconditioning rather than an actual lung problem. I have the symptoms of dyspnea immediately following a bout with rhabdomyliosis. Heart nuclear stress test done a few months prior, all clear. Kidney function is 46% now. Have no idea why I have this condition as I was fine immediately preceding the rhabdo. please I don’t know if you can help me i started having shortness of breath about five days ago,and nothing else and sometimes slight pain in the chest and I don’t know what is wrong with me please reply.